What Are My Rights After an Arrest in Palm Beach County? You’ve heard this a million times on TV, to the point where you’ve memorized every word. But now that you’re being handcuffed, placed in the back of a police car and are hearing them directly from a law enforcement officer, these same words could seem like a blur, devoid of clarity. Known collectively as a “Miranda warning” (or “Miranda rights”), they explain your rights after an arrest in generalities. But understanding what they don’t clearly explain could prove far more valuable. The more information police or investigators extract from you, the stronger their case against you. After you are read your Miranda rights, you’re going to jail. It’s important to remember this. It’s unlikely that any amount of “sweet talking” or excessive cooperation will change that. In fact, you could dig yourself into a pretty deep hole if you try. Each question that you answer emboldens investigators to ask additional questions. They’re not trying to make small talk. They want you to tell them what they need in order to convict you. Answering such questions also could lead to other charges. For example, if you admit that you have more at home — and it’s over a certain amount — could lead to drug trafficking charges. If you admit that you purchased the drugs in another state, federal charges could come into play. Even though your original charge was possession, simple answers to one or both of these questions could bring more serious charges that carry lengthy and often mandatory prison sentences. Police and investigators are allowed, by law, to trick you and lie to you, in an attempt to extract incriminating evidence. For example, they could say that the person who sold you the drugs confessed that he sold them to you. They could tell you that if you cooperate, your charges could be reduced, and you could get a lighter sentence. They are looking for a reaction from you – something that will push the right buttons to get you to open up. If you do, chances are the case against you will be open and shut because you’ve incriminated yourself. You cannot pretend you never made these statements by attempting to retract them. The case against you just became solid. It has already been established that you have the right to say nothing. After the very first question, you must say, “I will not answer any questions. I want an attorney.” Legally, investigators are required to immediately stop further questioning. By asking for a lawyer, you have exercised your right for counsel, and investigators must stop questioning you. In this case there is no confession, and once you speak with your lawyer, you might realize that you have far more options than investigators led you to believe. Your Florida criminal lawyer should insist on speaking on your behalf, and investigators have no right to prevent this. And it will become apparent that anything police told you — like a claim that you could receive a lighter sentence if you answer their questions — was a lie. 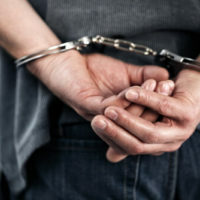 Police and investigators’ involvement in your arrest ends after you’ve been booked and evidence of the case is gathered. They then turn your case over to prosecutors and have little influence in the types of charges prosecutors will pursue, much less any plea deal that you might be offered. Police will falsely lead you to believe they have the power to make a “deal” with you. They don’t. Don’t fall for this trick. This is the most straightforward point. In lieu of a public defender, you may opt to call a private criminal defense lawyer once you have been released on bond, or prior to your bond hearing. There are many differences between a public defender and a private criminal defense lawyer, as we addressed in another blog. However, you are not entitled to a public defender until after you have been arrested and not during an interrogation. Invoking your right to an attorney only forces the police to stop questioning you. If you remained silent throughout and didn’t incriminate yourself, your attorney will have many options, and will have helped yourself beyond words. Because a prosecutor often will seek specific charges only when he or she believes you will be convicted beyond reasonable doubt, silence benefits you. If you confess to anything, your West Palm Beach criminal defense attorney still could negotiate with prosecutors for lesser charges, but the results will probably be less favorable since they have a stronger case. It’s important to remember that if you choose not to answer any questions or make any statements after you’ve already done so, whatever you said to that point still can be used against you. Understanding and exercising your rights won’t necessarily prevent the prosecution from seeking criminal charges. But given that your case is among dozens — if not hundreds — that the prosecution will handle in the months between your arrest and trial, it stands to reason that they might prefer to aggressively pursue cases with more evidence against the defendant. If you said nothing to police or investigators, they will have to work a lot harder to obtain this evidence, and are more likely to offer a plea deal, reduction in charges or even dismissal.